shows how innovations in traditional sectors can preserve embodied resources and create both manual and skilled jobs, resulting in lower unemployment, lower energy consumption, less waste and greatly reduced resource throughput – major ingredients for economic growth. Introduces new decoupling metrics to measure the relation between value, jobs and resource consumption. Introduces the new metric of the value-per-weight ratio (€-per-kg) to measure wealth creation in relation to resource consumption and shows strategies how to significantly boost this ratio up to million a Euro per kg resource ratio through, for instance, science and knowledge workers. Presents the business models that enable entrepreneurs to achieve synergies by profitably exploiting the three objectives of more value, more jobs and considerably less resource consumption, and the procurement strategy of buying performance instead of goods. Selling performance has a strong environmental component because it internalises the costs of risk and of waste and rewards sufficiency solutions and systemic solutions. Introduces the new metric of the labour input-per-weight ratio (manhour-per-kg) to measure job creation in relation to resource consumption and highlights ways to radically increase this ratio by preserving value. The business models used focus on extending the service-life of goods, components and infrastructure through reuse, remanufacturing and technological updating. These are the priority strategies put in evidence by the 2008 EU waste directive. Using the metrics of the Performance Economy, the big difference between the industrial economy and the Performance Economy become apparent, see the figure Performance sustainability rating of sectors. 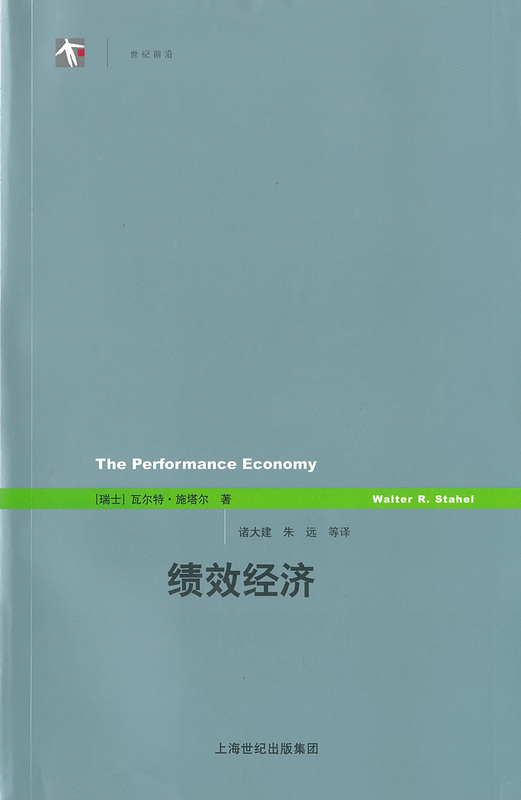 Walter R. Stahel is one of the contributor of the e-book: Why circular economy? Documents on shorter product-lives, what are the reasons ? Copyright 1982-2008 Das Institut für Produktdauer-Forschung, Genf.